DMM Alloy Offsets are the ideal choice for expanding your nut selection, with a blocky, radically offset shape that will complement your standard set. DMM Alloy Offsets are the ideal choice for expanding your nut selection, with a blocky, radically offset shape that will complement your standard set. The high demand for these nuts is because their complex offset shape offers placement opportunities where nothing else will fit. These nuts are based on the famed HB Alloy Offsets and were produced using modified versions of the original HB dies. 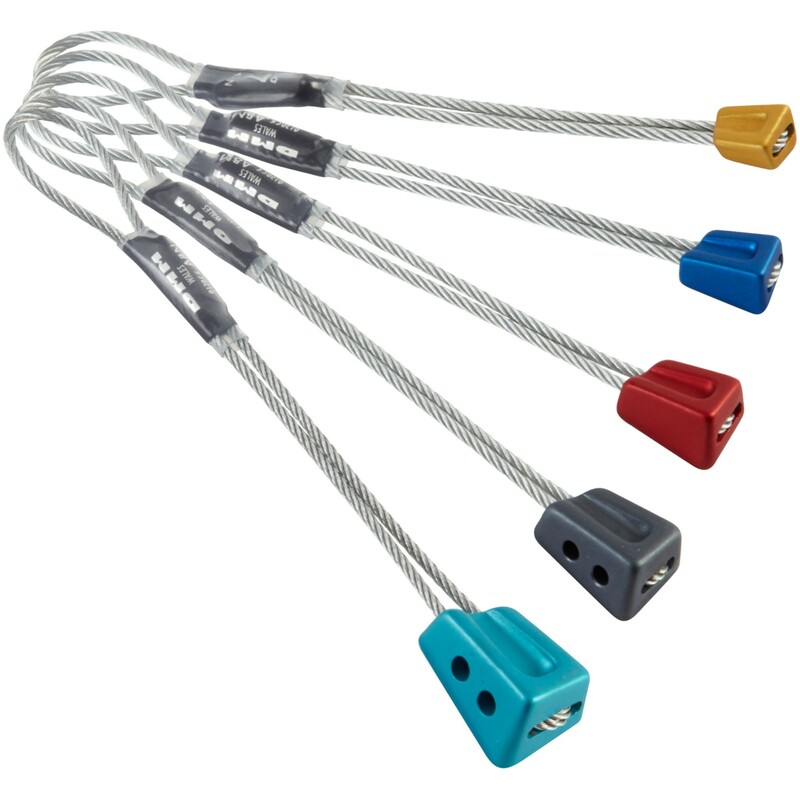 In typical DMM fashion the've brought them into the 21st century with colour coded sizing, recessed wires and lightening holes in the largest two sizes.